The Prime Minister Narendra Modi during Def Expo - 2018 mentioned new and emerging technologies like Artificial Intelligence and Robotics will perhaps be the most important determinants of defensive and offensive capabilities for any defence force in the future. A vibrant defence industry is a crucial component of effective defence capability, and to achieve national sovereignty and military superiority. The diffusion of military and dual use technology is required for both disruptive and capability-based incremental innovation defence capabilities. The Indian defence production base has never focused on design and development and thus has been unable to develop capabilities and produce competitive indigenously designed Weapons. However the present Indian govt's focus is on the imperative needs of India's military modernisation and the creation of a world-class defence industry by enhancing defence manufacturing in India under Make-in-India initiative. The ministry of defence (MoD) also launched the Support for Prototype & Research Kickstart (SPARK) initiative. The startups, small and medium-sized enterprises (SMEs) and individual researchers and academic institutions can take part in 11 different categories mentioned in brief as under for creating technologies and products that can be used by the armed forces. A system for Future Armoured Fighting Vehicles to provide 360 situational awareness. The solution may employ use of multiple cameras to produce a stitched 360 view. 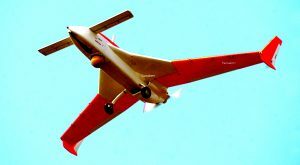 It should be a digital mapping system having cameras and sensors to track the positions of surrounding features of interest in both two and three-dimensional modes. Optionally, a specially designed headset synced to vehicle cameras to allow commanders to 'see through' their vehicles in both visual and infra-red in real-time is , or alternatively, the feed can be transmitted to a touch-screen display. The live-feed is to be overlaid with information from other vehicle systems and the touch-screen display is to be used to identify friendly and enemy forces, for route planning and to let the commander view the display of other crew members, such as the gunner. The system should be easily integrated with various vehicles and their systems (especially communications). This technology is for Rocket Launchers having capability to fire up to 7000-10000 rounds from the shoulder of a war fighter. It involves development of a recipe of carbon fibre winding as well as the selection of the fibre. The barrel assy. of a rocket launcher weapon is a carbon filament wound barrel. Production of Barrel assy. involves manufacture of Metallic Liner and Carbon Filament Winding (CFW) of Metallic Liner. Manufacturing of Metallic Liner is established but the CFW process is currently not available in India and is being sought indigenously. Secondly, Carbon Fibre of specified grade is not available to Indian defence industries due to export regulation. There is a need to develop the technology/ process within India. Presently reverse osmosis plants are fitted on board IN platforms for production of fresh water from sea water. The plants operate on the process of Reverse Osmosis using DT modules. The performance of RO plants is affected by variance in sea water salinity and temperatures and thus affects operations especially in foreign waters. Similarly, the oily water in the bilges of the machinery spaces is separated through use of Gravity separation devices which are in general Coalescer based (OWS). The performance of Oily Water Separators on board IN platforms is observed to sub-optimal and unreliable. Use of advanced desalination techniques like Carbon Nano tubes and Biometric filters needs to be studied in various operating conditions as viable replacements for RO plants. On similar lines, use of centrifugal type Oily Water separators capable of handling viscous/ particulate laden loading in order oil content in Ships discharge to 5 PPM needs to be studied. Design and development of Remotely Piloted Vehicles (RPVs) with secure and encrypted control systems (datalinks). These are airborne vehicles which are controlled remotely through secure and encrypted control systems. 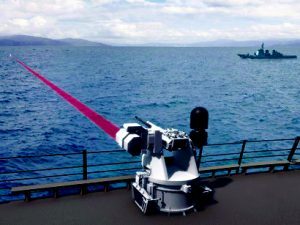 Design of portable/mounted laser weaponry of various destructive yields. These systems will be used to neutralize targets like aerial drones, etc. or be part of an active protection system. The system should be mountable on various defence platforms (land/air/water). 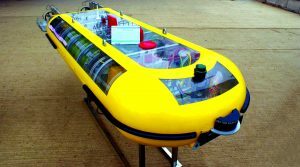 Design of autonomous surface and underwater vehicles to carry out a variety of tasks including offensive / defensive / reconnaissance / repair activities. These vehicles should have secure and encrypted control systems (datalinks) to communicate with their base station. Select few startups will also receive a funding of up to Rs 1.5 crore through the Ministry for developing their ideas, and given access to test their products. As part of the event Tonbo Imaging was given a Certificate of Accord of ''Approval in Principle' for its suo motu proposal 'Night Fir 'Night Fire Control System for Automatic Grenade Launcher-30. In view of the emerging dimensions of threats and the contingencies the global defence innovation landscape is expanding with enabling technologies having potential to cause disruptive effects on military capabilities and geopolitical competitions. Some of the these technologies such as artificial intelligence, big data analytics, additive manufacturing, advanced and smart materials, virtual and augmented reality, unmanned systems, remote sensing will have enabling effects in the future battlefield. 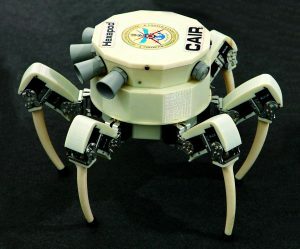 Thus the 21st Century warfare would see extensive play of Cyber Weapons, Heat-Rays and Lasers, Drones, Anti-Drone Systems, Stealth and Hypersonic Platforms and Weapon Systems, Precision Guided Munitions, Multi-Domain Sensor Systems, Battlefield Management Software Technologies, Space Combat, hypersonic and electro-magnetic weapons, quantum computing and directed energy and the likes. In time to come the R&D and innovation likely to be important determinants of defence production capabilities especially in light of the decreasing predictability of future needs.